The Analogue Wireless Receiver BLX4 provides improved linearity and frequency response for up to 12 compatible channels per group with group and channel scan for easy set-up. 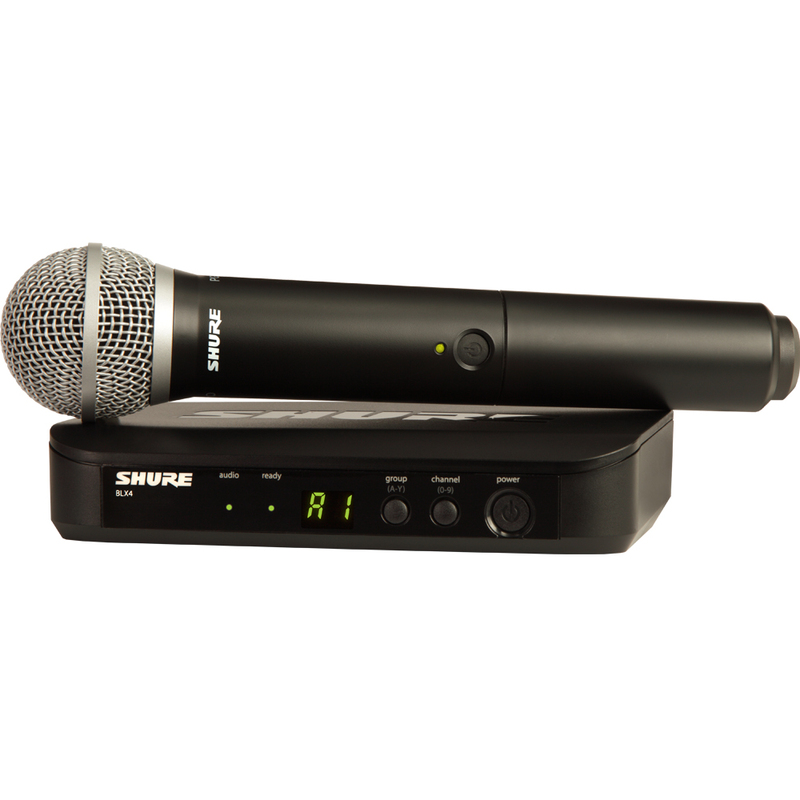 The PG58 with BLX2 handheld transmitter is a rugged mic tuned to accentuate the clarity of lead and backup vocals. You will get up to 14 hours of continuous use using 2 x AA batteries (included) and an operating range of 100m.